You are here: Home / News / Efficiency / Energy savings can be hard. Make it easy. Stop. Look around your room. More than likely there is a programmable thermostat on the wall, a plug strip on the floor and a light bulb in your lamp. These are three of the most common products you can use to help reduce daily household energy costs. The trick is figuring out how to make them work for you. 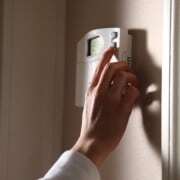 With a little savvy consumer shopping and research, choosing and correctly using programmable thermostats, replacement bulbs and plug strips can be easy to do, says Brian Sloboda, a program manager specializing in energy efficiency for the Cooperative Research Network (CRN), the research and development arm of the National Rural Electric Cooperative Association. Shopping for a programmable thermostat? 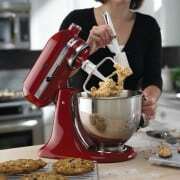 There are plenty of brands and types to suit your home and lifestyle. But one thing you won’t find today is a programmable thermostat that carries the Environmental Protection Agency’s (EPA) familiar blue Energy Star seal. The EPA dropped the label from these products in 2009. Why? Programmable thermostats can potentially save buyers up to $180 a year on heating and cooling costs, according to ENERGYSTAR.gov, but many customers miss out on savings by failing to correctly install their new thermostats. “Most people failed to use the programmable capabilities. They didn’t know how or didn’t want to,” Sloboda says. This led to poor EPA consumer surveys, and ratings drops and the loss of the Energy Star seal for most products. Enter smart thermostats, which are intended to be an easier-to-use alternative. They come with motion sensors that help do the work of detecting and setting the temperature in your home. 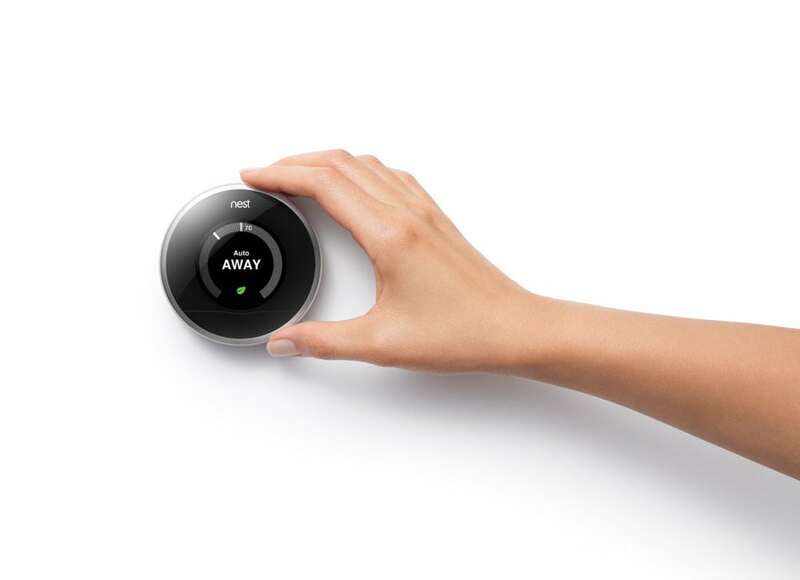 Nest is one such brand of thermostats. “Sensors will start to turn the thermostat up or down, depending on the season,” Sloboda says. . Within a few days of installing the device, he says the system will begin to learn your schedule, automatically dialing your thermostat back when you’re not home. So, what about energy savings? “A thermostat will only save you money if you allow it to program,” Sloboda says. Your co-op can also help you take control of your thermostat. If your smart thermostat is sponsored by your electric utility, it can be put under load control, Sloboda says. Controlling the load or demand for electricity can mean maximum savings for both the consumer-member and the co-op, especially during peak times when electric consumption reaches its highest point and is most expensive. By now you know that Thomas Edison’s incandescent light bulb has dimmed. January 2014 marked the end of the bulbs’ run under a federal provision to phase out and replace them with more energy efficient options starting this year. Currently, there are only three consumer choices—halogen-incandescents, CFLs and LEDs. 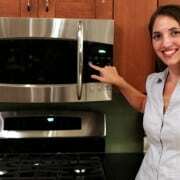 But to get the energy savings and lower electric bills you want, you’ll have to pay more up front. That includes LEDs, the equivalent of the 60-watt incandescent, the most widely used of the phased-out bulbs. And, Sloboda warns, buyers beware. They are long-lasting, more energy-efficient and most will have the iconic look of the old incandescents. Buts as a new generation of lighting technology evolvs, the brand you choose will matter. “There is a whole lot of junk out there. You can buy name-brand LEDs for around $10 and more expensive ones from not-so-reputable companies,” he adds. But don’t take chances on your lighting or waste your money. Lighting experts recommend sticking with brands you know and trust. If you’ve been light shopping lately, you’ve probably noticed that smart devices have even come to the light bulb aisle. Manufactures like LG, more known for their appliances, and light bulb giant Philips are among those turning out LEDs that can be controlled by your cell phone and change colors to suit your mood. Added features like these can make turning on the lights an experience. And over time, energy savings will add up. With new light bulb standards in place in the U.S., the Department of Energy estimates that consumers will save between $6 billion and $10 billion a year in lights costs. They are usually trapped behind a desk or your TV, but traditional power strips work hard to affordably expand the number of electrical outlets in your home. Unfortunately, their convenience can encourage you to leave electronics plugged in all the time – and many devices keep drawing power even when you’re not using them. This so-called phantom or vampire power drain can wastes electricity and be costly. Continually unplugging household appliances and gadgets is one solution, but it’s not the best option for saving money, power or your time. Smart power strips can help. They’re bigger, color coded and designed to reduce usage by shutting down power to products that go into standby mode. Most feature three outlet colors, each with a unique task. The blue outlet serves as a control plug, and is ideal for a heavily used device like a TV or computer. Anything plugged into red outlets stays on—electricity to these receptacles never cuts off―making them perfect for satellite boxes or other appliances that need constant power. 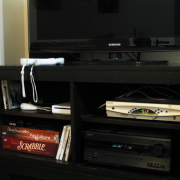 The remaining outlets, generally neutral or green in color, are sensitive to current flowing through the blue outlet, so turning off the TV or computer cuts power to them as well. With added occupancy sensors and timers, some smart power strips can be even more efficient. Costing about $20, these products can determine when to cut power to various devices. Sloboda says you can start to see a payback on your investment in about a year. Take another look around. Energy savings at home can be easy with the help of smart power strips, thermostats and residential lighting—and a little savvy shopping. https://www.tnelectric.org/wp-content/uploads/2014/08/nest_thermostat_with_hand1-1.jpg 725 1000 Trent Scott https://www.tnelectric.org/wp-content/uploads/2017/07/TECA-logo-full.png Trent Scott2014-08-01 18:55:512014-08-01 18:55:51Energy savings can be hard. Make it easy.